DC Comics and Skelanimals team up to give you the cute characters of Gotham City in adorable plush form. 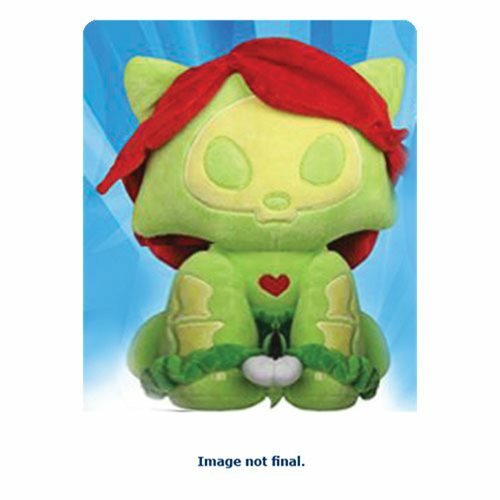 The DC Comics Skelanimals Girls of Gotham City Poison Ivy Foxy Plush stands 10-inches tall and is made of soft polyester fibers and is dressed in awesome adaptation of the classic DC character. Foxy the fox is decked out in Poison Ivy's green outfit with red hair. Ages 4 and up.